Recently we have been butchering our own hogs and so I've had ground pork on hand. Right now it's quite a bit cheaper than ground beef so I am looking stretch the beef a little. 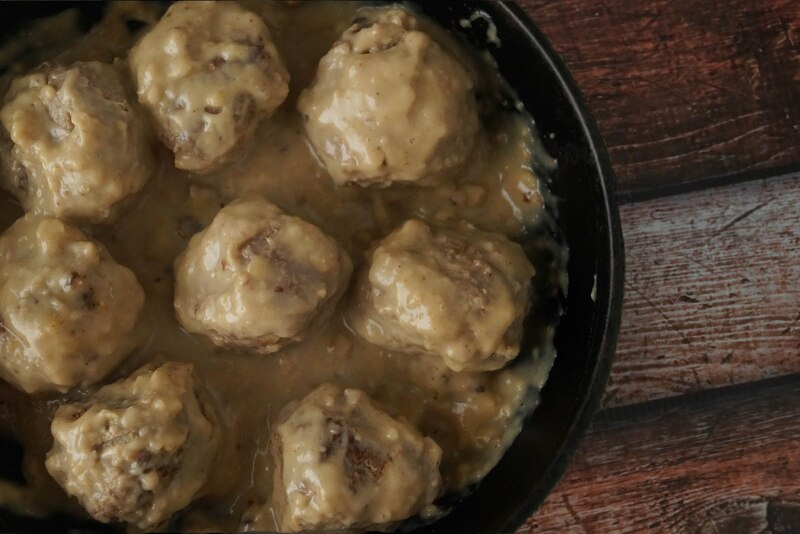 Nothing beats homemade meatballs smothered in a creamy gravy sauce. It's even better if you make your own broth! I cook the onions to mellow out their flavor and lose the crunch. For me, a raw onion can ruin a dish in a hurry. While you are at it, double or trip the batch and roll up some extra meatballs. Throw them in the freezer for another time. I don't use my crock pot a lot (personal preference) but for a roasting meat it's a good choice. Even the toughest meats will be tender and juicy after the hours spent cooking. This recipe has just a little kick that says "Hello." in a soft voice. If you want it louder or to give a shout add more chipotles. I like it nice and easy so I can taste all of the flavors I've stuffed into my tortilla shell. Whether you like crispy or soft, flour or corn, any tortilla shell will work well with this meal. 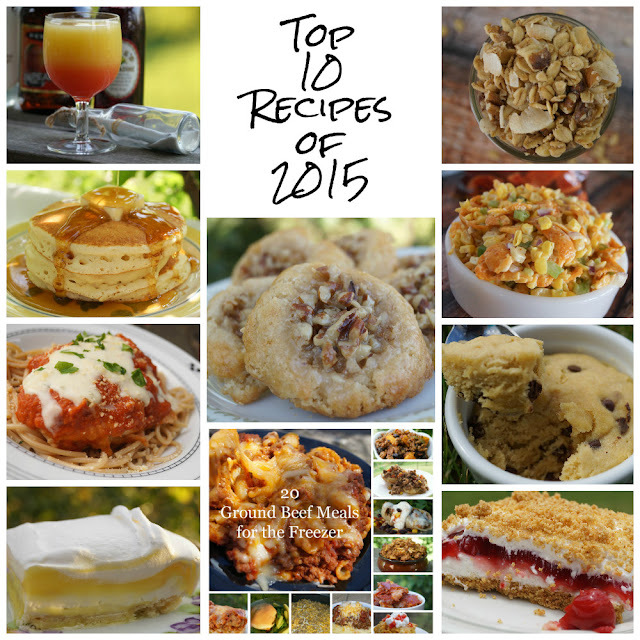 I'll tell you below which toppings I used but feel free to change the up to suit your taste! Next time I make this beef recipe I will double or triple it and have extra for the freezer! I could also use a pork roast and it would be awesome as well. 2015 has drawn to its end and it's always fun to look back and see some of the fan favorites. Most of them are from this year but a few from last year snuck in.